WEEK WITH AN AUTHOR - Hope Lynette! I am happy to have Hope Lynette, author of Tha Bottom Line, on Black Diamond's Book Reviews for the entire week! I am also glad to share my interview with her today! Tha Bottom Line is what happens after the pain. I was taking walk. I had another title that I had been toying with, but it wasn't working. It just came to me on this particular day, while I was walking. Is there a message in the book that you want readers to get? That with God, you can get through anything. Are any parts of The Bottom Line realistic? Did you have a favorite character in The Bottom Line, and why did you like that character? Trevor. He's almost everything I want in a man. If The Bottom Line had a theme song, what would it be and why? Movin On. An R&B group Changing Faces recorded this song. It's just for the ladies in the novella, because they, moved on and found happiness after the pain. How do you begin writing a book? Do you start with an outline? Do you hand write anything or type it out? I just start writing. Almost always it's by hand. Then I'll type it off. My characters create themselves. Do you have a certain writing style? Are any of your books based on things that you have experienced in your life or the life of someone you know? Well, yes and no. I'd say more on how I'd like to see situations turn out. Do you have any rituals that you use when you are writing or a certain place you go to get inspired? I love the sun. Any warm atmosphere that's peaceful and quiet. I never write on rainy days. This is my first completed work. Did you have to do much research when writing your books? If so, do you tend to write first or research first? Some research was done. I wrote first and then went back and did the research. What advice would you give to those aspiring writers out there? Know that you can do it!!! Just start writing. Even if you stop, keep what you've wrote, and you can always go back to it. 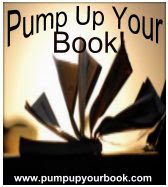 With self publishing so mainstream now, you're really in control of your own destiny. Yes, it's not a new release. Permission Slips by Sherry Shepard. Has writing your own book changed the way that you read? Yes. I'm observing styles more. Are you able to read when you’re writing and if so what books inspire you when you’re working on a novel? Sometimes, but I try not to. I don't want any outside influences wiyth my plots. Are there other books you love or writers you admire that are from your local area? Walter Mosley. He's awesome. I'll read anything with his name on it. If you have to describe yourself with one word, what would it be? What three artists would I find in your Ipod or CD player? If I came to your home and looked in your refrigerator what would I find? Mayo, Lettuce, Tomatoes, Yogurt, among other foods. What is one food item that you can’t live without? What do you like to do when you are not writing (hobbies, etc.)? What famous person do other people tell you that you most look like? What is the one thing about yourself that others would be shocked to know? Choose a book title for the story of your life. What is next for you in 2011? Nope. Cheryl, the best. I appreciate all of your support. Thank you very much for taking the time out to answer my interview questions! You and I have a lot in common Hope! From your refrigerator contents, it sounds like you must like BLT's! I love them! You sound like a fun and very down to earth person and I am so glad to have the chance to feature you on Black Diamond's Book Reviews for a week! 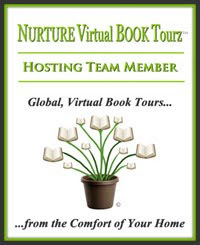 © 2011, Cheryl of Black Diamond's Book Reviews. All Rights Reserved. If you are reading this on a site other than, Black Diamond's Book Reviews, Urban Image Magazine, or Cheryl's feed, be aware that this post has been stolen and is used without permission.